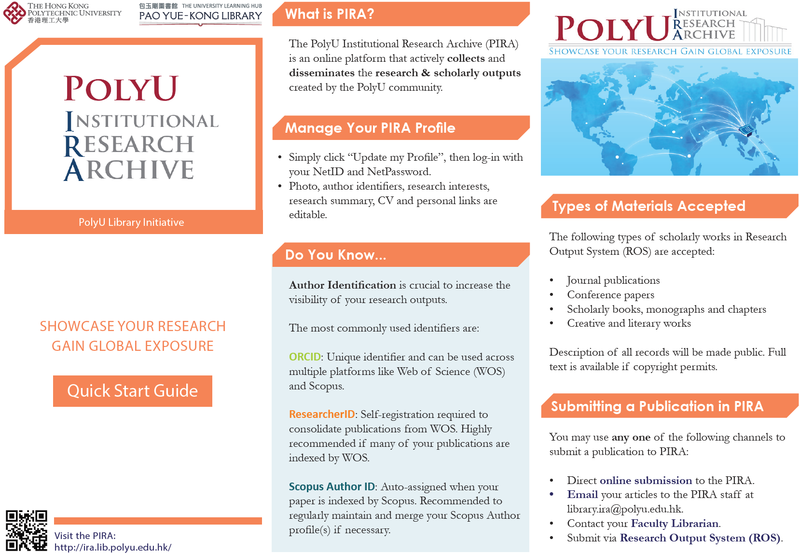 The PolyU Institutional Research Archive (PIRA) is an online platform that collects and disseminates the research and scholarly outputs created by the PolyU community. By showcasing the publications, research interests, activities and academic achievement of PolyU scholars, the PIRA aims to increase the visibility of the University’s research and facilitate knowledge transfer. Outstanding Work by Students: collects best capstone projects, outstanding student papers, or the award winning papers by PolyU students that are nominated by academic departments.